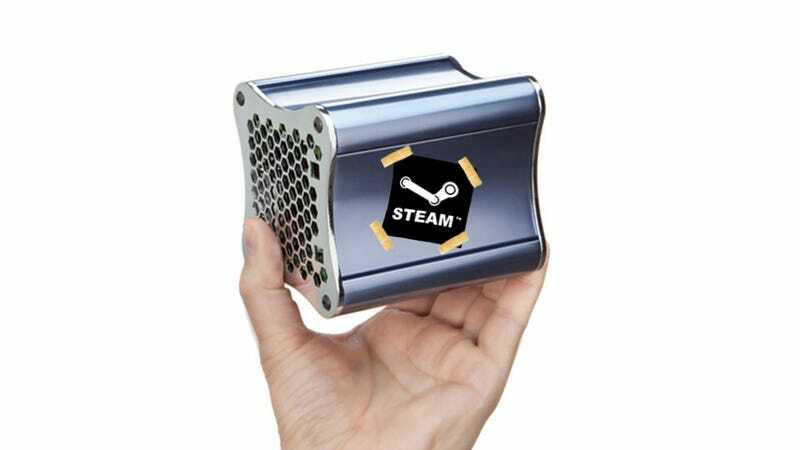 Most of the talk of Valve's recent excursion into the world of living-room PCs has focused on how their hardware, née the "Steam Box", would compete with gaming consoles like the Xbox 360 and PlayStation 3. But Valve co-founder Gabe Newell has another competitor on his mind: Apple. Polygon reports that Newell, speaking today to a class at the University of Texas, said that Apple is much more prepared to take over the living room than console-makers. "The threat right now is that Apple has gained a huge amount of market share, and has a relatively obvious pathway towards entering the living room with their platform," Newell said. "I think that there's a scenario where we see sort of a dumbed down living room platform emerging—I think Apple rolls the console guys really easily. The question is can we make enough progress in the PC space to establish ourselves there, and also figure out better ways of addressing mobile before Apple takes over the living room?" As we've pointed out in the past, console-makers should certainly be worried about Valve's foray into the living-room space. But Newell makes a good point: they should all be keeping one eye on Cupertino. That image up top is of "Piston," an Xi3 computer that Valve says is one of multiple Steam Box prototypes.